Interval Master, Sight Master, and WhichPitch are apps designed to be simple, beautiful, and engaging. Interval Master helps you learn to recognize music intervals and develop relative pitch. 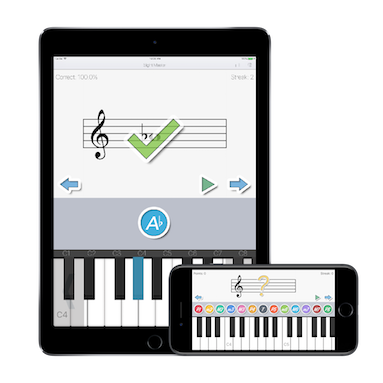 Sight Master helps you to recognize notes on the treble, bass, and alto clefs. WhichPitch helps you practice pitch recognition. All apps feature a full 88-key, playable keyboard. Download from the App Store today! Have feedback? Contact me at support@tpayneapps.com.